STS Transmissions specializes in transmission diagnostics and repair. 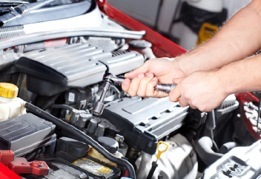 We also offer full service preventative maintenance. STS Transmissions is family owned and operated and we use the latest diagnostic equipment to guarantee your vehicle is serviced correctly while maintaining your manufacturer's warranty. We only use quality replacement parts. 5666 Palmer Blvd., Sarasota, FL 34232 ... Tap on the map once to enable zooming.